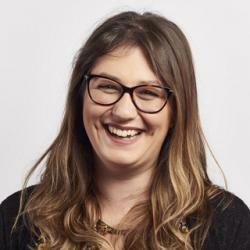 Accessibility Scotland is a not-for-profit organisation who task themselves with raising awareness and fuelling conversations primarily around digital accessibility. Their September conference focused on what the digital world can learn from the physical world in terms of inclusivity and access pain points for those with differing needs to our own. We sent Front-end Developer Ryan, UX Designer Hamilton and Digital Designer Adam to learn more about accessibility in digital spheres and how we at Storm can improve our approach to accessibility in projects we work on. Hey guys. Here’s a (hopefully) easy question to start off with. What is Accessibility Scotland all about? 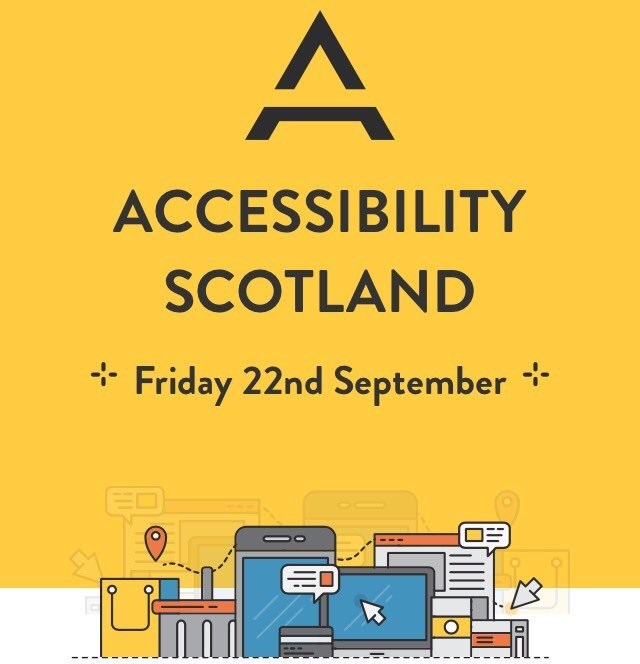 H: Accessibility Scotland focuses on how we can improve digital services and products to create a digital environment that everyone can access and enjoy, regardless of disability. A: The conference invites leaders on accessibility from both the digital and built environments to share their perspectives and to stimulate discussion around what insight we can gain from the intersection between the two. What specifically interested you about the event? A: Accessibility and inclusivity in digital is something we all need to be more mindful of. I was keen to hear from people who are experts in the field and those with accessibility issues of their own, and discover what we can do here at Storm to make our websites and apps more accessible. H: Definitely! As part of my role, I spend time doing accessibility audits of our websites to make sure they meet AA standard. While auditing like this is very helpful, I was interested in learning more about how other people are measuring the accessibility of their sites through speaking with people, particularly through usability testing as this is something we do a lot of at Storm. R: For me, it was a chance to hear from people with accessibility needs and those who are trying to provide solutions. The conference created a comfortable environment in which we could openly discuss and ask questions. It’s always an overwhelming experience when we step away from our screens and spend time with others trying to solve the same issues. A: I think it’s important to have empathy for other people, but in digital as in all walks of life, it can be difficult to step outside of your own experience and see things from a different perspective. What interests you about accessibility and the current conversations around it in relation to web design? R: As a Front-end Developer, I am incredibly interested in inclusive design patterns. 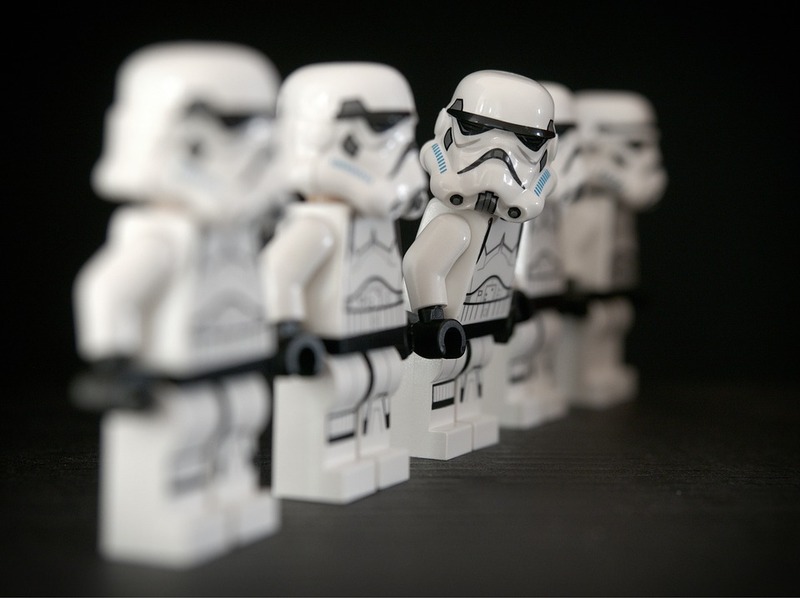 Heydon Pickering shared his latest project “Inclusive Components” with us. When it comes to learning code, I can understand much quicker with “real world” examples. Heydon is always looking for new componenets to make inclusive. H: Accessibility within the digital environment has, for a long time, been thought of as simply another thing to comply to: a set of guidelines often considered at the end of a website build. 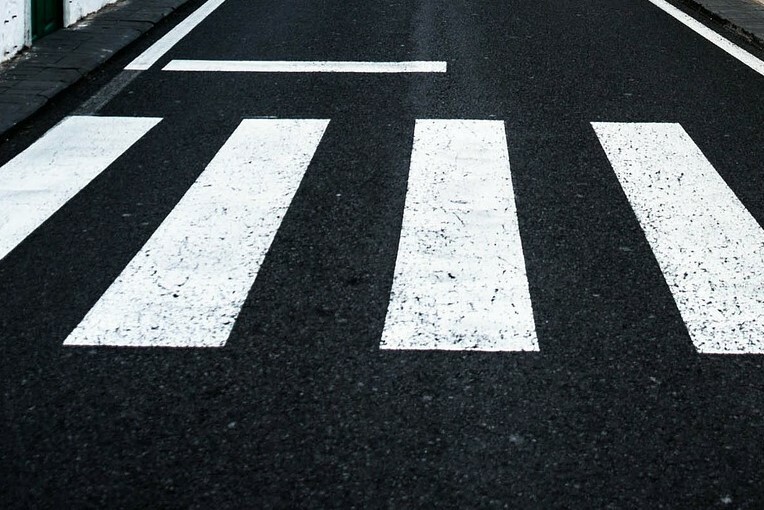 In the past few years, however, conversations around the topic have helped designers and developers to create websites with accessibility at their core, transforming the perception of accessibility and improving the web for everybody. It’s exciting to get to be a part of that conversation and to work for an organisation that is committed to paving the way forward for accessibility. A: I agree. I recognise that we have a responsibility to users to make our websites accessible and as easy to use as possible, but I feel that it’s an area where there is much room for improvement. 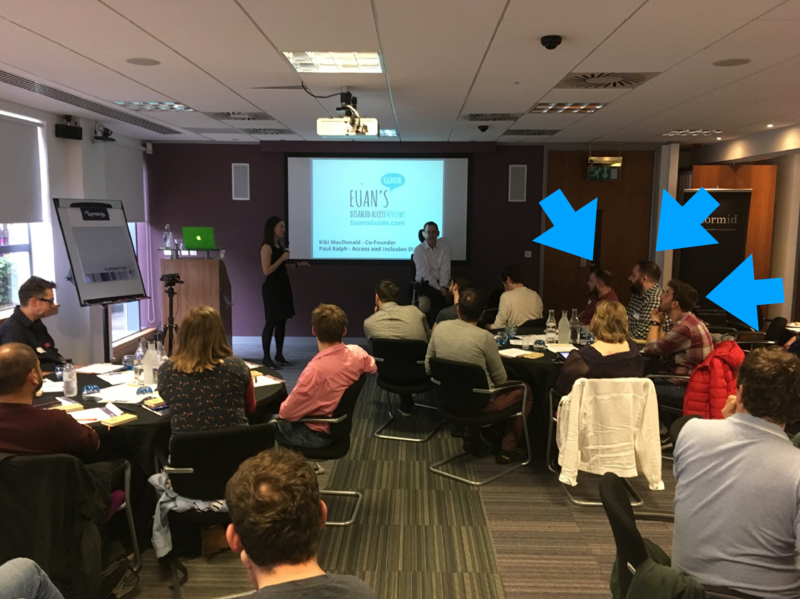 Who was your favourite speaker at Accessibility Scotland? A: My favourite talk was by Michael Crabb, a lecturer from Robert Gordon University in Aberdeen. He explored the similarities between permanent, temprorary and situational accessibility issues that users face. 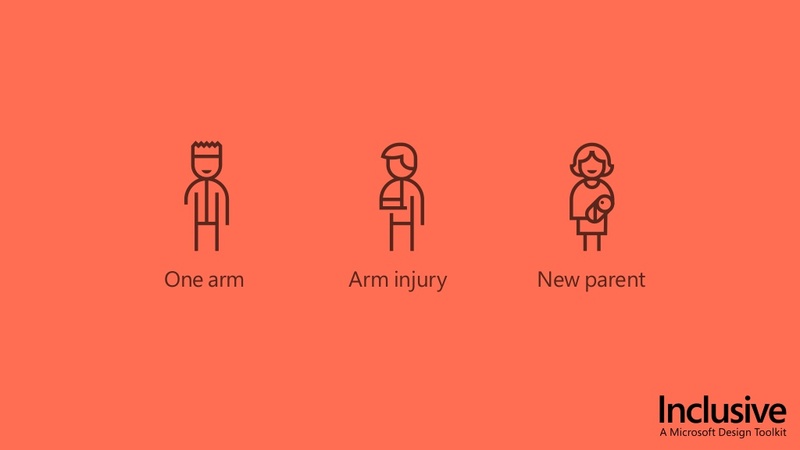 He used the example of accessibility issues faced by someone with one arm, compared to someone with an arm injury, and someone holding a baby. He discussed the idea that in making a product or service accessibile to those with impairments, we are in turn making that service easier to use for everyone else too. He backed up this idea with research into accessibility in board games, advertising and subtitles in TV and films. His slides are here, if you’re interested. R: I would have to say Euan’s Guide. Kiki MacDonald and Paul Ralph discussed their journey building the disabled access review site, Euan’s Guide. It’s one of those things that makes you say “Why hasn’t this been done before?”. Kiki shared the truly inspirational story of how she and her brother Euan are opening up town and cities to disabled people around the world through this review website. Paul inspired us to think about accessibility at every stage of a project. His message was that accessibility is everyone’s responsibility. He also shared his hatred for so-called “Accessibility toolbars”. He feels that organisations will label themselves as 100% accessible if they include one when, in fact, in many cases the opposite is true. More often than not, they interfere with a user’s own accessibility tools. H: I enjoyed that one too. Graham Pullin, Course Director of Digital Interaction Design at the University of Dundee, gave a great talk on framing accessibility in a different light. By asking his students to tackle projects less through solving a problem and more through exploring new possibilities for access, Graham got them to think in a more open-ended and open-minded way. It was great to see accessibility framed in alternative ways to get out of the inevitable boxes we assign to accessibility issues. What was the most important takeaway? A: The idea that making something more accessible benefits everyone and not just those with a disability or impairment. Also, that inclusivity is something that should be seen as a default design principle and not a barrier or after-thought. R: Solve for one, extend to many by focusing on what’s universally important to all humans. Learning that we can all experience a temporary or situational impairment that could alter a digital experience. We all have abilities and limits to those abilities. H: For me, it was that the web offers us the chance to connect with people in an unprecedented way to enhance our connections with them, and that’s what gives the internet real meaning and value. If we’re not designing an accessible web, we’re excluding millions of people from being able to be a part of that. It’s the responsibility of everyone working in web development, whether as a project manager or a UX designer, to make sure accessibility is part of that process. Was anything discussed that you’re going to implement into your approach to projects? H: There was a lot, in fact probably too much to write in one article, so we’ve decided to take what we’ve learnt and share it with all our colleagues at Storm by running our own internal accessibility day. Hopefully by getting everyone in the organisation involved in the accessibility conversation, we can each reflect on the best ways to implement changes to our own workflows to support accessibility more. A: One of the things that came from the open discussion was the reality that many design and development teams are guilt of ignoring accessibility until later in the project. This is something we should all be better at and come to a point where inclusivity and accessibility is a consideration from the beginning of any project. I reckon that this conversation is the start of some meaningful changes we’ll be making to our design approach to consider accessibility as an inherent component, rather than a last minute check. R: You know it’s been a great conference when you come away feeling overwhelmed by the amount of information. It’s time to take a raincheck on our approach to designing digital experiences. And it doesn’t end at the digital “shop-window” (front-end), but also the “stock room” (back-end, content management systems). I agree with Adam and Hamilton on this. We need to reconsider our approach and treat accessibility as first class citizen from the outset. It sounds like you came away with some terrific insights! Is there anything else about Accessibility Scotland (or accessibility in general) that you want to add? H: No, think that covers it all! R: A big “thank you” to the organisers, attendees and venue for another successful conference! I can’t wait for next year. A: They put on a good spread at lunchtime. Catering to the needs of the people – inclusivity at its finest! We’re looking forward to seeing changes implemented around design and development processes that more actively involve considerations into accessibility and inclusivity. Are you interested in working for an award-winning digital agency who devote their time to better understanding user needs and developing easily navigable websites and apps? Check out our careers site for our current vacancies, or email your CV to careers@stormid.com. 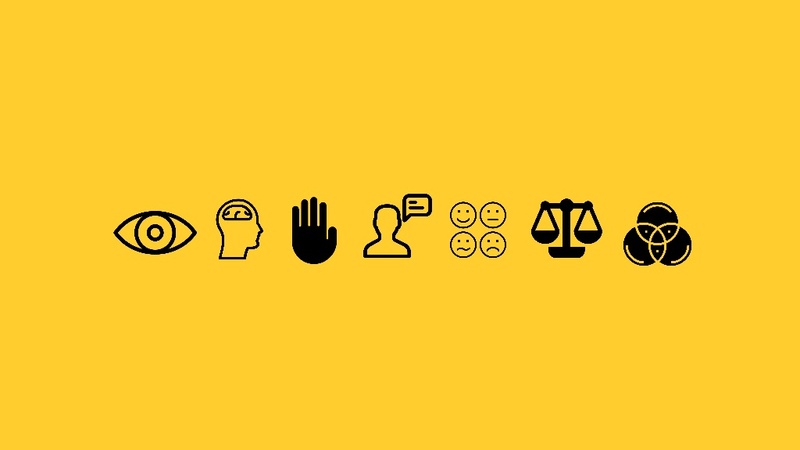 What Does Inclusive Design Mean?